According to Mahabharata, Indraprastha was the capital of the kingdom led by the Pandava. The Demon Maya, built the city and the palace of Indraprastha for the Pandavas. The area for the palace was created by clearing the forests of Khandava by Arjuna and Lord Krishna. Pandavas also built other cities like Swarnaprastha (modern-day Sonipat) and Panaprastha (Panipat) in their province. 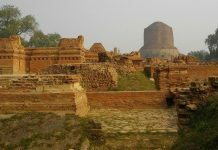 The exact location of Indraprastha is uncertain but Delhi is thought by some to be located at the site of the legendary city of Indraprastha. Although there is not much physical evidence about the city but locals did claim that there existed a huge mound (which could have contained the remains of the city) upon which the Mughals built the Purana Qila (Old Fort). The fact that until 1913 there was a village within the fort called Indrapat gives credence to the belief that Purana Qila was built on the ruins of Indraprastha. The ruins of this fort are located on a small hill which once stood on the banks of the Yamuna river. It is where Humayun‘s capital Din Panah was located. The Purana Qila was constructed by Sher Shah Suri between 1538 to 1545. In historical times, human settlements were always made closest to a river bank or source of water. 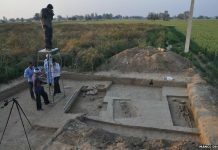 The excavation spot at Purana Qila has been identified because of its proximity to the original flow of the Yamuna, so archaeologists are confident of finding evidence. The ongoing excavation at the Purana Qila site might lead to discovery of concrete evidence that will help in studying the culture and art patronised by the Pandavas. The clue that Archaeological Survey of India’s members are looking for to establish the link is painted grey ware PGW. It is grey pottery painted with geometric patterns in black that archeologists associate with the Mahabharata period. Similar stuff has been noticed in other sites associated with the epic Mahabharata as well. If the ASI is successful in finding painted grey wares from the Mahabharata period, it will prove the existence of the city of Pandavas. “There is a possibility that once we excavate further will find some evidence. In the first excavation in 1954, painted grey wares were discovered. However, the wares were not found in stratified deposit. If they were found in stratified deposit, we could support that there were traces of the Mahabharata period,” said Vasant Swarnkar, superintending archaeologist of ASI. 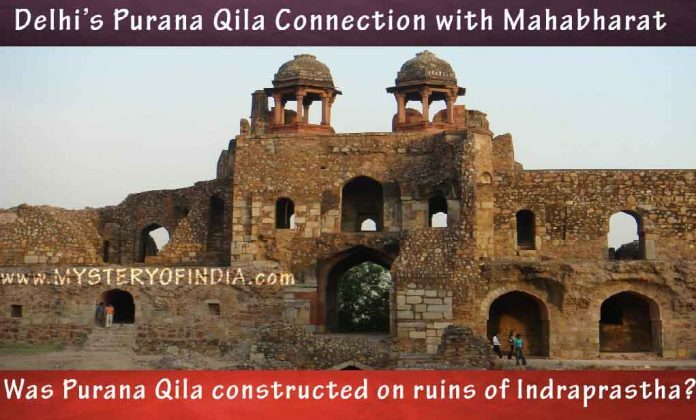 The Purana Qila mound contains remains of a continuous cultural habitation starting from Mauryan period (3rd century BC) to the Mughal through Sunga, Kushana, Gupta, Rajput and Sultanate periods. 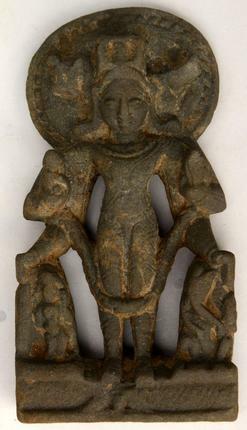 The archaeologists has discovered artefacts from all the eras which includes a rare 12th century sculpture of Vishnu, a terracotta seal from the Gupta period, pottery typical of the Kushan and Gupta periods, structures from the Rajput and Kushan periods, copper coins, terracotta human figurines, beads made of semi-precious stones and glass, ear studs of terracotta and charred wheat and rice grains. Latest findings included an ivory pendant, human figurines, a Gajlakshmi tablet and objects from the Mauryan period. The Archaeological Survey of India has also discovered a Mauryan Period ring well 4.4 metres below the earth. Opened after a span of 40 years, the Archaeological Survey of India has carried out an excavation here since February this year. This was the third and largest excavation in Purana Qila after the one ASI did in 1955 and in 1969- 73. Due to Monsoon The Archaeological Survey of India has put excavations at Purana Qila on hold till November. The ASI also hopes that it will also be able to convince the government to declare Delhi a World Heritage City.